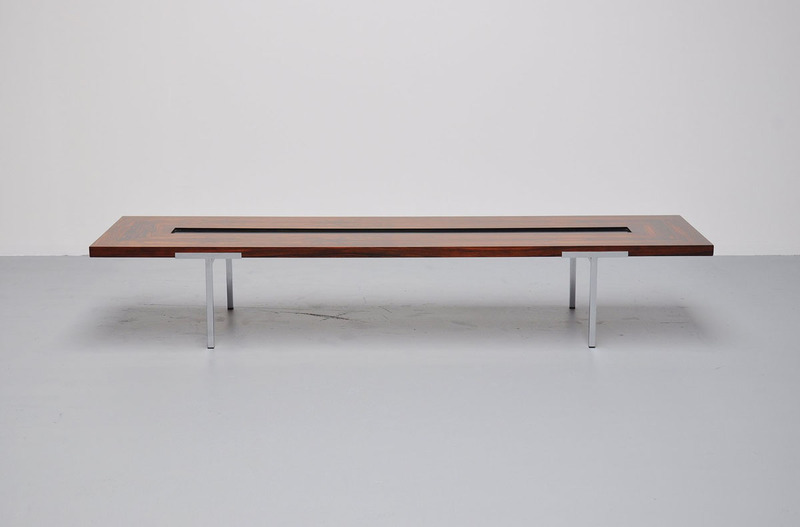 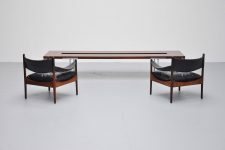 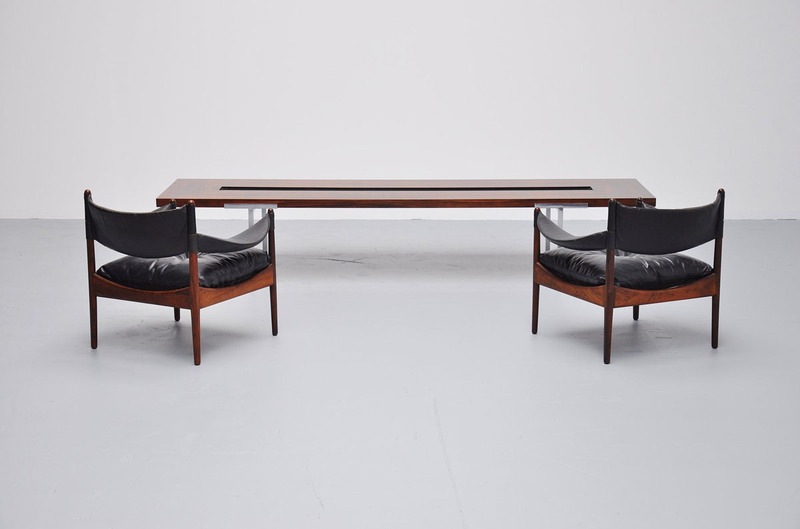 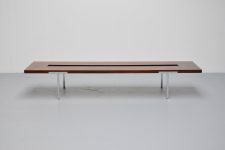 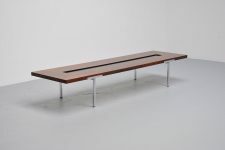 Fantastic xxl coffee table made in France by Antoine Philippon / Jacqueline Lecoq. 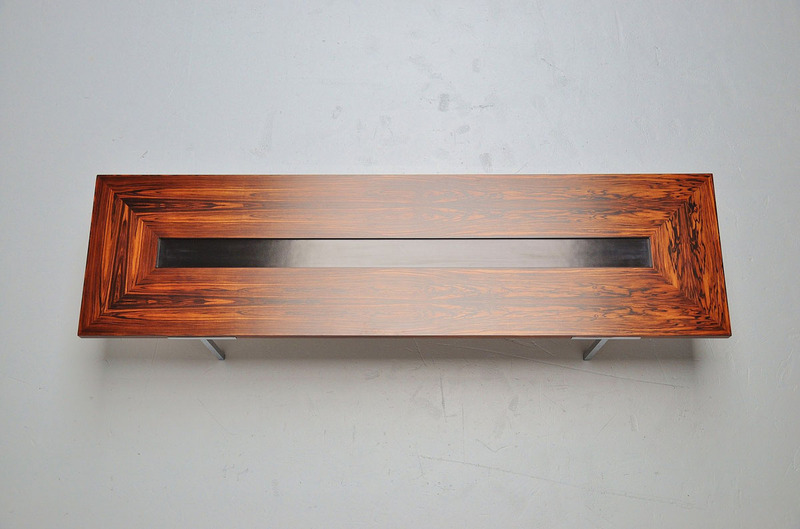 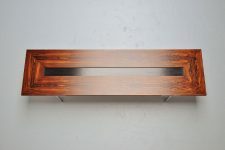 Square brushed steel feet and super graine rosewood top with black lacquered inlay. 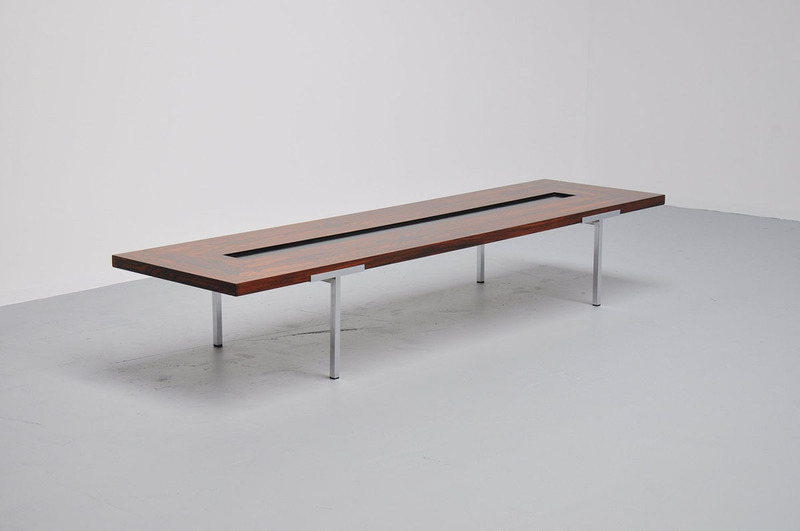 Super rare table.